Sharon Manning Photography: 20 000 Visitors - Time for a Giveaway!!!!!!!!! 20 000 Visitors - Time for a Giveaway!!!!!!!!! Yesterday I hit 20 000 visitors here on my blog (I lost my first counter about a year ago when I was updating my blog....forgot to back up first)!!!!!!!!!!!! So to celebrate I thought I'd do a giveaway. To enter you need to "Like" my Facebook Page and leave a comment here on this post (not my FB page please!) telling me what location your ideal photoshoot would take place? Would it be at home, the beach, your favourite park? If you've already 'liked' my page, fabulous, just leave a comment here letting me know along with your answer! valued at Regular Retail $65 plus Registered Postage of $8.50 (within Australia). That is a total Value of $73.50!!!!!!!!!!!!!!!!!! But currently CR Couture Studio are being very generous to their buyers and have reduced ALL Straps due to the USD being so low! So this strap is on sale for $55 plus postage. 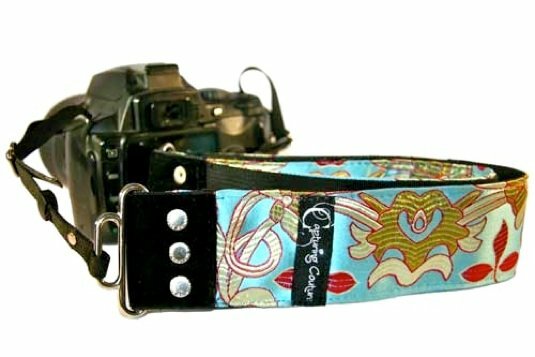 I have 2 of these straps and they are so so comfortable to wear and of course they look very stylish too. The inner layer is velour velvet with a cushion insert for extra comfort. Comments will be taken until Monday 14th February (Valentine's Day) 8.00pm WST. The perfect, ideal location would, for me, be at the beach just as the sun sets. I have always loved the way the sun glistens off the ocean and the breeze teases my hair. I'd love to have photos taken down by the River. Probably where there are some beautiful trees and a sand bank.. etc.. I'm thinking .... at dawn, on the beach, in the Caribbean! I would have to say somewhere meaningful for me - possibley either among the trees in our back yard OR with/on the old family 'miners couch' that has been passed down for a few generations and I now feel so honoured to be in the possession of. Definately anyway amongst the BIG beautiful Karri Trees in W.A. Demark, Pemberton, Augusta. Yummy. Our local park in Sanctuary Waters Estate is just beautiful, you have the mix of trees, shrubs, water and everything else you could wish for the ideal family shoot. We often have weddings held at the park and birthday parties are almost a weekly event during the good weather round where the old sales office was (a lovely limestone building which has the necessary facilities). Love the camera straps and didn't realise just how beautiful they were. I think I would love the photos to be taken at home because the children are most relaxed and it would be a wonderful reminder of where you lived and what your life was like when you and your children look back on the photos in years to come. Because we live near the beach, a beach setting would be appropriate. But at the same time, maybe somewhere different since we have so many beach photos... Really, anywhere would be lovely as long as all my family were together! I would love the beach but not so much the water or sunset but on the sand with an old jetty in the background in black and white. i would like to have a family photo update as we haven't had one in many years (12years) mirrawara park in armadale is very pretty lots of different concepts, water, greenery, trees, old church. somewhere with old barns, wagons and machinery would be a awesome back drop me think. In a park or garden, somewhere beautiful and green where thr kids can run around and enjoy themselves. I love the farm photo’s with the crop, old machinery and the old farm veranda’s as long as the kids are having fun. I think Hillarys in the winter would be great cos there would not be too many people in the beach area and there are sooo many different places there to get shots that would suit an entire family and keep them all happyn at the same time. Araluen when the flowers are in bloom!!!!! Hiding amongst them etc. Whiteman Park cos there is lots of old equipment and also you could go into the see the animals (even though it is a pay section). Kids feeding the animals or playing in the park. Checking out the old equipment....WOW. Lots to do there.Steam trains...old cars, old station!!!!!! All the old areas of Freo, Roundhouse, the Esplanade pub, the park opposite the pub, on the jetties there or the beach there. either the beach or maybe Woodbridge house or somewhere like that would be great. Also the big park in Guildford with the old cannons & stuff.